This week, Kroll Show goes up against The Illuminati and the lizard people, which fittingly leads to the most interconnected episode thus far in the final season. Liz B. and Liz G. reunite as “sawsters” to take on a new client: Tommy Rothchild (Nathan Fielder, who plays the character with a low-budget-action-movie-villain sinisterness). The Lizes quickly fall for Rothchild, who asks them to assemble a formal event for senior members of The Illuminati. The Lizes, of course, have no idea what any of this really means, but Liz G. wants to impress Rothchild, and Liz B. wants to save PubLIZity from the crippling bankruptcy that’s entirely her fault, so they agree to plan Illumi-naughty. We learn that Tommy Rothchild is part of The Realists, a group of hacktivists trying to expose the corrupt hierarchies of the world. One of the members of the team Skypes in from his girlfriend’s house, which causes some tension with his fellow hacktivists. I love the simple concept of a hacker with relationship problems. It’s a weird and specific—not to mention relatable—detail threaded throughout The Realists that really adds an extra layer to the sketch. The Lizes get up to speed on how our whole world is run by lizard people, turning to Truthlings: What On Earth Will We Do?, an Internet series that tonight’s episode opens with. Truthlings serves as the throughline for “Lizards Vs. Penguins,” connecting the various pieces at play. Neil Casey shows up on the program as the team leader of The Realists and his commitment to the character sells the jokes. The creepy European man—presumably the true killer of Dr. Armond’s wife—resurfaces this week, and I’m still not totally sure how his character factors into everything, but I like that Kroll Show is taking its time with some of its grander serialized stories. Plus, the European man has some of the funniest lines in the episode, so even if we have to wait a little longer to see where this is all going, there are plenty of payoffs along the way. Crab Cab—apparently a Joe Wengert pitch back in season two that got shot down until now—serves as an excellent palate cleanser between the complex storytelling of the main sketches this week. In the truly ridiculous but hilarious Cash Cab parody, host Fabrice Fabrice asks unsuspecting and unwilling contestants questions. Right answers get you a crab. Welcome to Crab Cab! 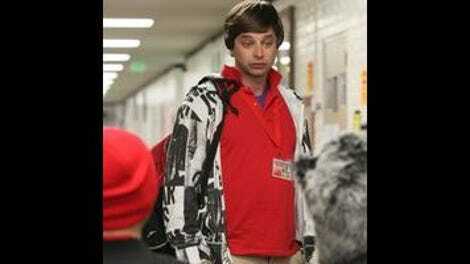 It’s a perfect example of how Kroll Show parodies often feel like mutations of parodies. The process seems to be something along the lines of look, let’s take this concept and mimic it with adjustments that are small but weird as hell. And then let’s enhance it all with sharp, over-the-top editing. Well, according to Wengert, in this case, he was mostly just rhyming two words together. But the results are wonderful, and Crab Cab even folds into this week’s main narrative when one of the hackers and his girlfriend (Kate Micucci) enter the cab. Not even Fabrice Fabrice and a cooler full of crab can mend their problems. Hackers are people, too. Liz B. becomes convinced that she herself is a lizard queen—which leads to some excellent physical comedy from the always excellent Jenny Slate. It would actually explain a lot if Liz B. and Liz G. were lizard people. All the celebrity impersonators at the failed Illumi-naughty party are great. The hair and makeup team for Kroll Show make great choices always, but I particularly love Neil Casey’s nonsensical makeup and hair accessories as the hacktivist leader. The matter-of-fact way with which Kroll delivers his lines as the European man is equal parts hilarious and horrifying.